We arrange many tour packages that makes your travelling experience very fantastic. 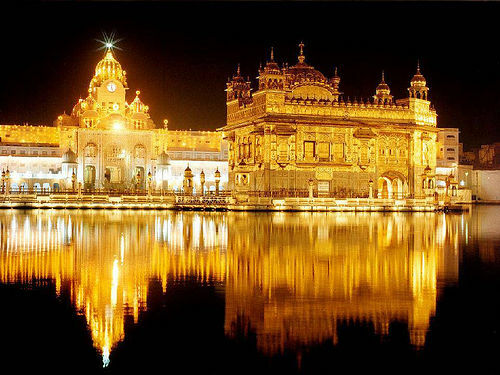 We provide travel packages that makes your tour very enjoy full and interesting and when you want to go holidays we suggest you to must visit Golden Temple Amritsar and we arrange complete package and give you a very interesting tour packages that makes your holiday delightful. We provide all types of India Tour Packages considering your valuable time and if you want to visit these places we provide you to a full experienced guide and make your tour very knowledgeable and wonderful. Experience the rich culture of the Punjab differently and the dresses wearing style of the people is very different, that reason a lot of people who come to Punjab and must want to visit the Golden Temple. The dances of Punjab are very popular and so many people come here every year. Coming from abroad who want to travel Punjab because Punjab is famous for its palaces and cultural heritage of places like Jallianwala Bagh etc. and many cities of the Punjab have a historical story and the palaces of the Punjab are famous in all over the world. Chandigarh is the capital of the Punjab and is famous for its beauty because this is known as the Golden City of India in all globe.